Bigben Interactive has shared the release date, beta and pre-order details for its forthcoming fantasy dungeon crawler epic, Warhammer: Chaosbane. 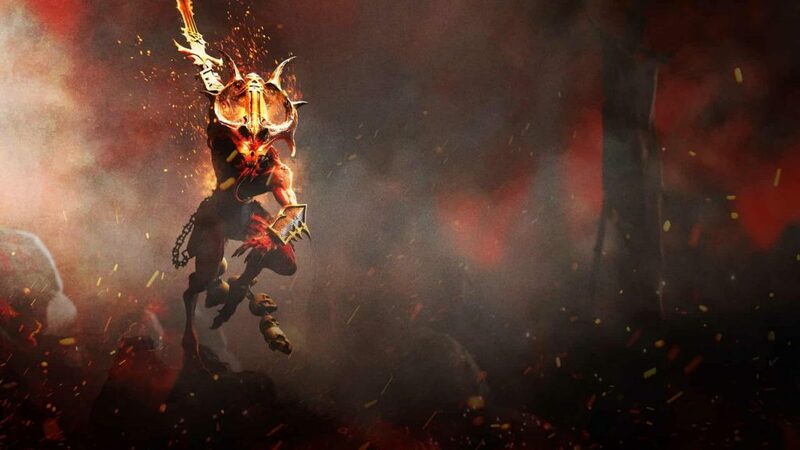 First, the big news – Warhammer: Chaosbane finally has a release date – eager dungeon crawlers can expect to get their hands on the game when it releases for PS4 on June 4, 2019. Next up is the confirmation that Warhammer: Chaosbane will also be joining the beta club, with two beta phases that will take place in March and April respectively. 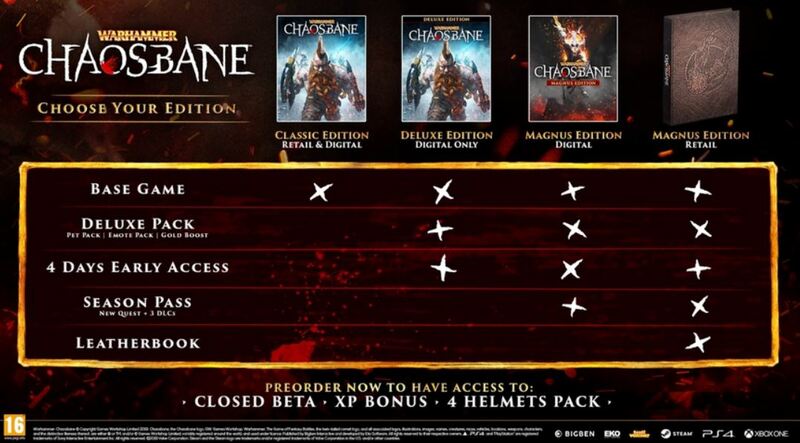 Available only for those who have preordered the game, these betas will not only provide players with an experience boost for the duration that their character is active, but preorder players will also receive four special cosmetic in-game helmets (one for each character class), too. More information on these betas is due to arrive shortly. 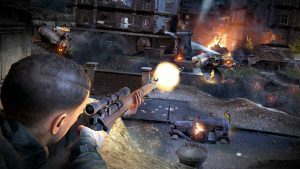 Bigben Interactive have also outlined the various editions of the game that will be available at digital and physical retailers too. 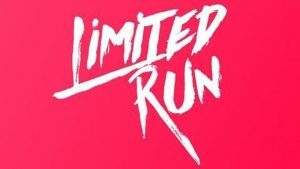 As well as the bog standard edition of the game, which is available at both digital and retail, folk can also get their hands on the Deluxe Edition, which contains a boost-giving deluxe pack and four days of early access to the game. Beyond this, the digital version of the Magnus Edition includes everything that was in Deluxe Edition but also throws in the season pass for kicks. 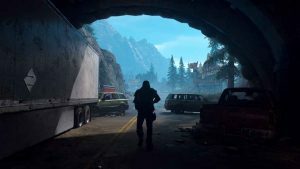 The season pass looks set to provide a new quest, in addition to three DLC packs – with details set to come at a later date. Finally, the physical version of the Magnus Edition includes everything in the digital version AND a neat looking leatherbook case to hold the game in. Failing reading all that, you could just consult the easy to read pre-order chart above. I do love a good chart. Developed by Eko Software and published by Bigben Interactive, Warhammer: Chaosbane is set to release for PS4, Xbox One and PC on June 4, 2019.